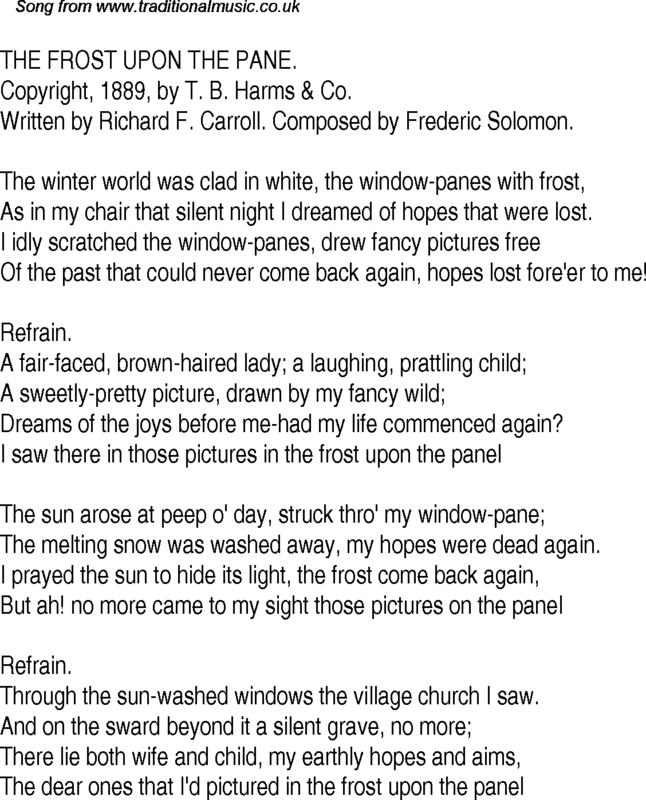 THE FROST UPON THE PANE. Copyright, 1889, by T. B. Harms & Co. Written by Richard F. Carroll. Composed by Frederic Solomon. As in my chair that silent night I dreamed of hopes that were lost. Of the past that could never come back again, hopes lost fore'er to me! Dreams of the joys before me-had my life commenced again? The melting snow was washed away, my hopes were dead again. Through the sun-washed windows the village church I saw.